ALL ZONE, ALL ACCESS PASSES! All Access Pass lets you enjoy our entire facility! Our long hours ensure everybody can come and experience APEX! Further extended hours weekends and holidays! BEST TIME TO JUMP FOR MY AGE? Please note that our audience does change throughout the day. 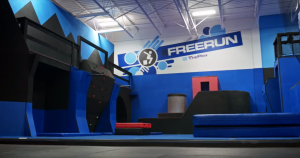 We are open late, and our facility typically hosts an older audience after 8:00pm. Younger jumpers (18 and under) typically bounce during the morning and afternoon. 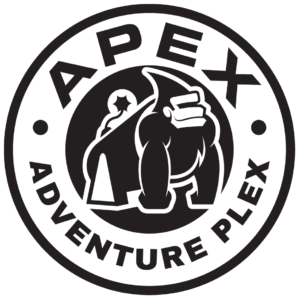 With that said, we have no age limits and encourage people of all ages to partake in the APEX experience. Come and join us for an exclusive slot for the little ones to play in a safe and friendly atmosphere. All participants wear APEX grip socks. These socks ensure our facility stays clean and improves grip on the trampolines. They are yours to keep and reuse. Available from the counter, APEX grip socks are only $2.67/pair. Tickets are sold for half an hour time blocks, just like a movie theatre. Once a time block is full, participants must pick another time. Guarantee your spot by booking a ticket in advance! Tickets can be purchased online or by stopping by the #ThePlex.